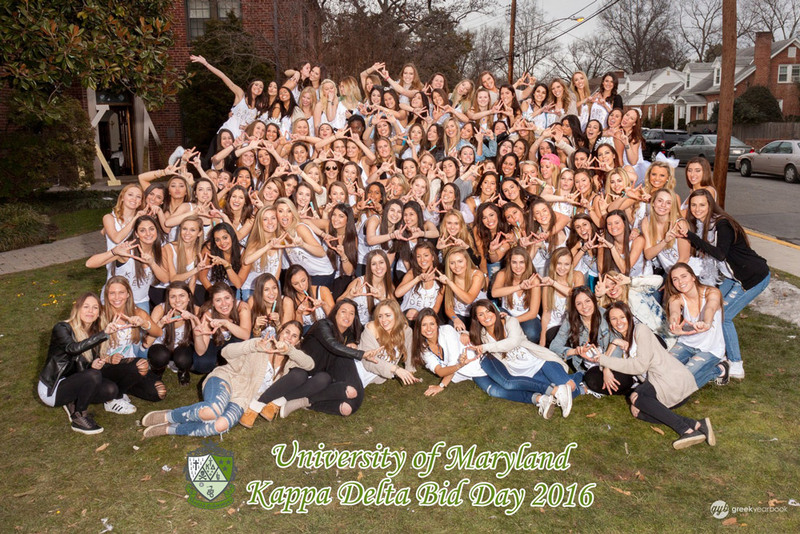 As Bid Day quickly approaches, we are getting super excited to see all the cute and creative bid day themes that will be used throughout the fall! 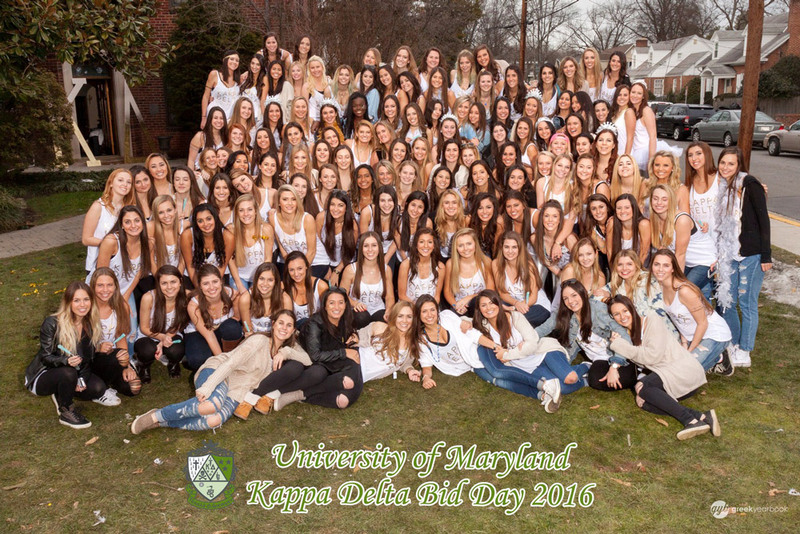 One of our favorite themes from last spring was shared with us by Julia from Kappa Delta at the University of Maryland! 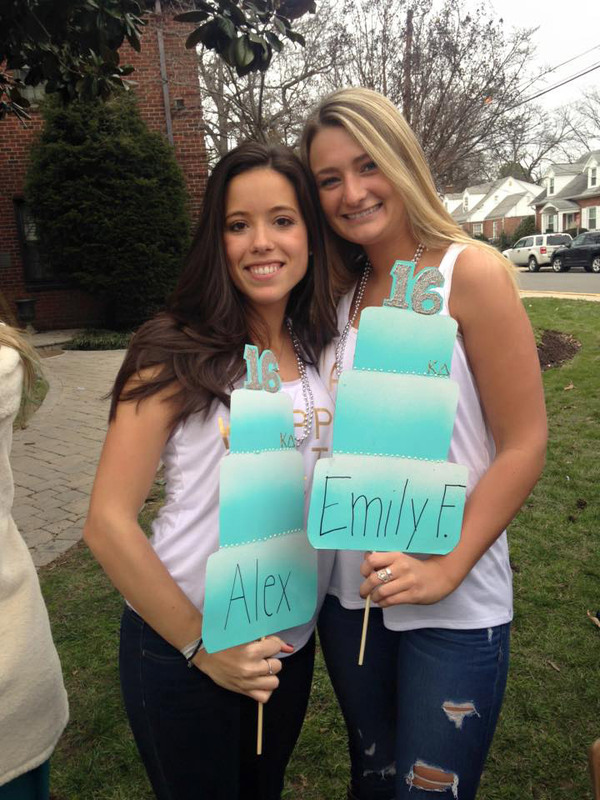 Check out what she did to perfect her “Super Sweet Sixteen” bid day bash! New member tags were cut-outs of 3-tiered birthday cakes. We also had a real 3-tiered cake to match! 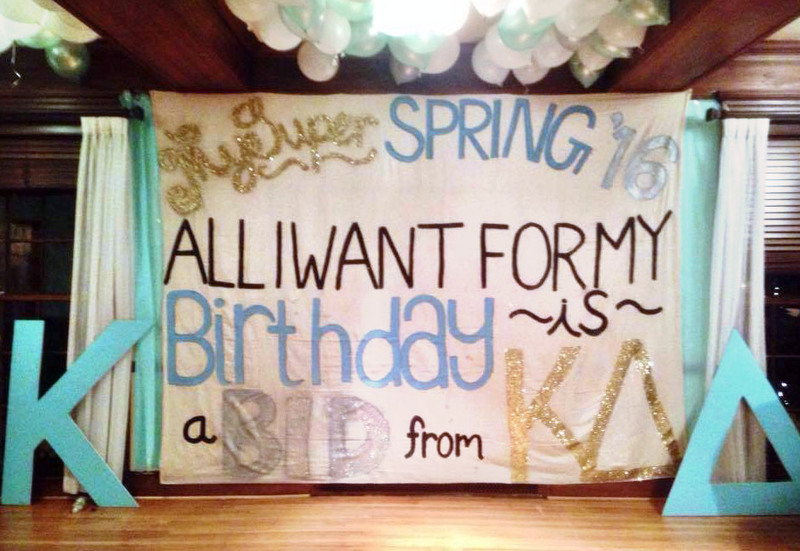 We had a big teal and white candy bar, and tons of balloons/banners/etc. 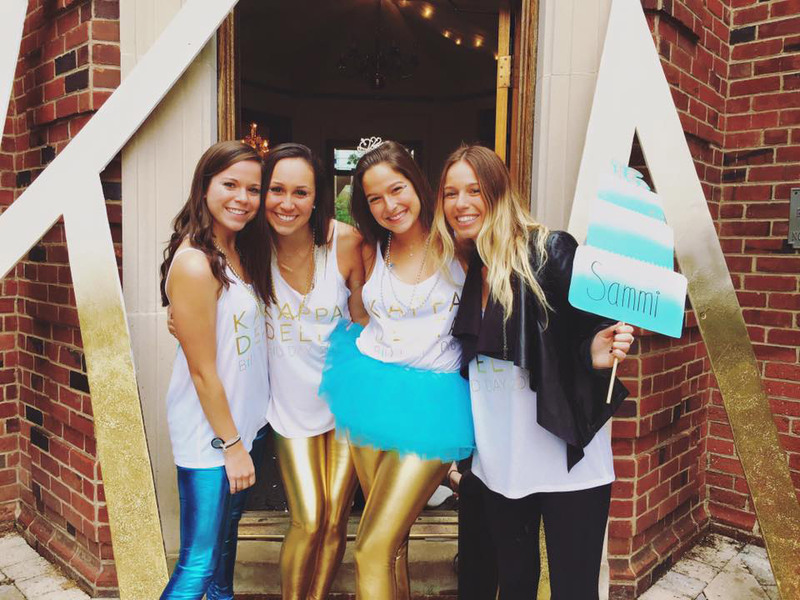 Our shirts were white tanks that said “Kappa Delta Bid Day 2016” on the front and had a big teal tiered cake silhouette on the back that said “Celebrating the Honorable, Beautiful, and Highest.” Our members decked out in metallic leggings, feather boas, tutus, and birthday crowns!